Peter Davenport, Senior Historic Buildings Consultant has been involved in the work earlier this year by Cotswold Archaeology (CA) who completed the latest phase of archaeological work for the Archway Project in collaboration with BACAS. This has included a laser scan and photogrammetric model of the entire space which has been the most ambitious and detailed piece of 3D modelling CA have ever undertaken and resulted in over 11,000 photographs and extremely detailed high resolution 3D models. BACAS carried out a geophysical survey, re-excavation of earlier archaeological trenches and in the process discovered the oldest mosaic known at the Roman Baths ! 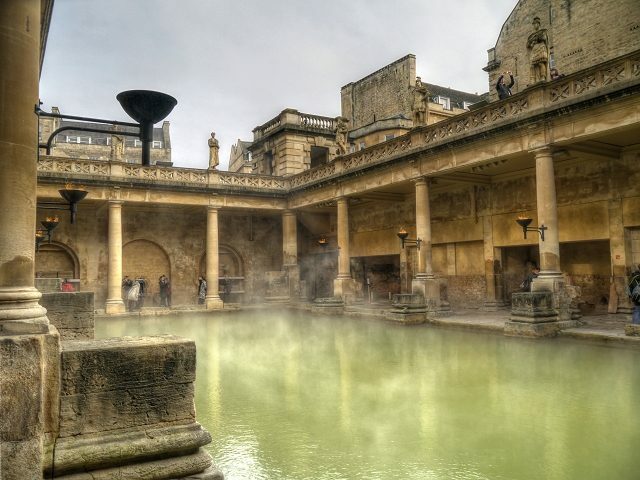 The work has been carried out prior to the construction of an impressive new heritage and learning centre which will ultimately reveal to the wider public hitherto hidden parts of the Roman bathing complex at Bath. All talks are at the Bath Royal Literary and Scientific Institution, 16 Queen Square, Bath, BA1 2HN. Thursday 11 October, 7.30pm, with an admission charge of £4 for members (on display of a current BACAS membership card), and £5 for the general public. Pay on the door.